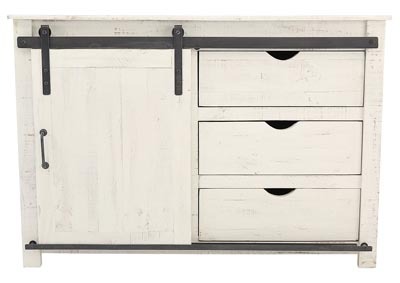 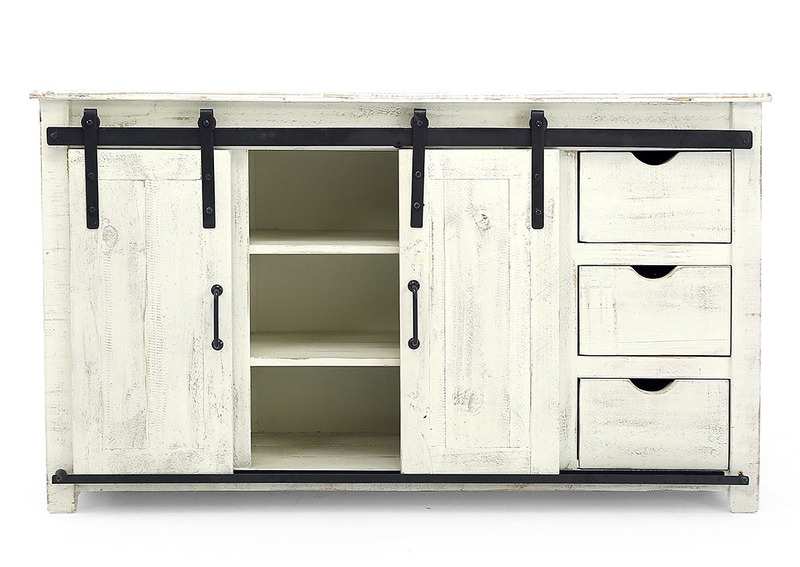 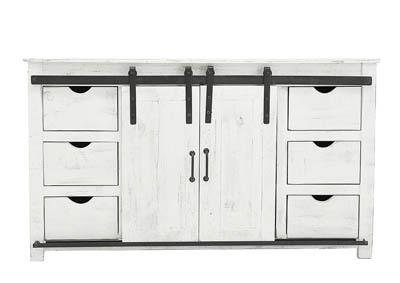 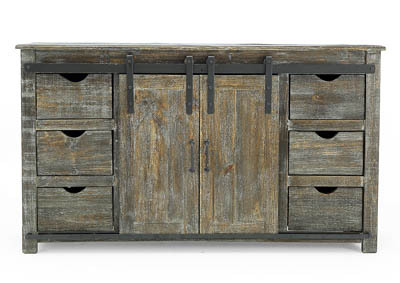 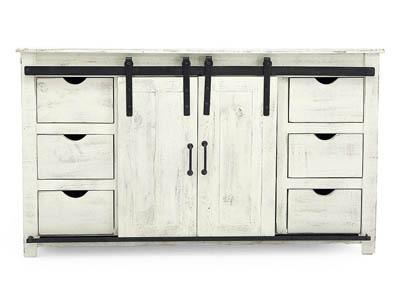 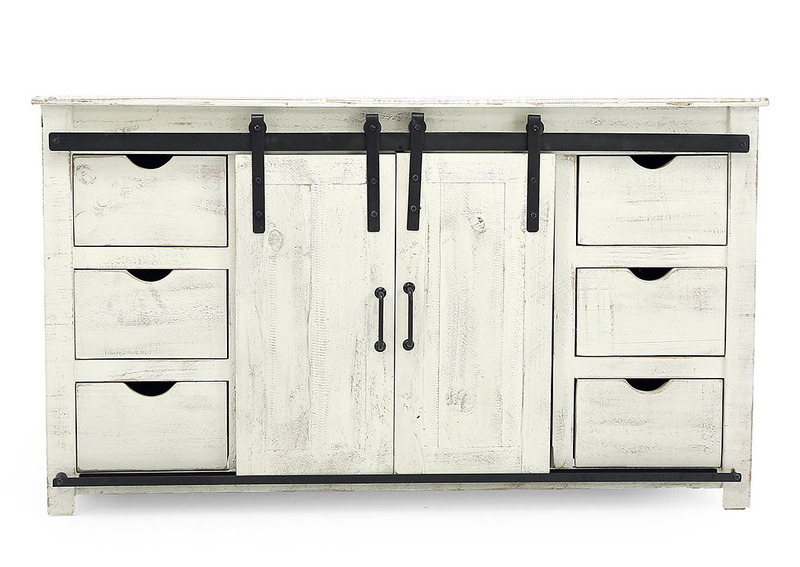 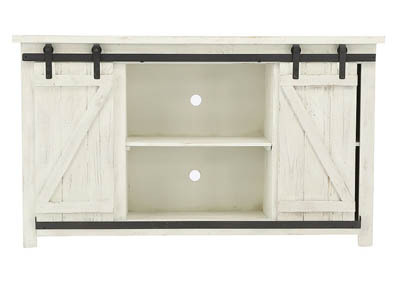 Looking for barnyard rustic and tons of storage? Ths 60-inch console is jam-packed with both. 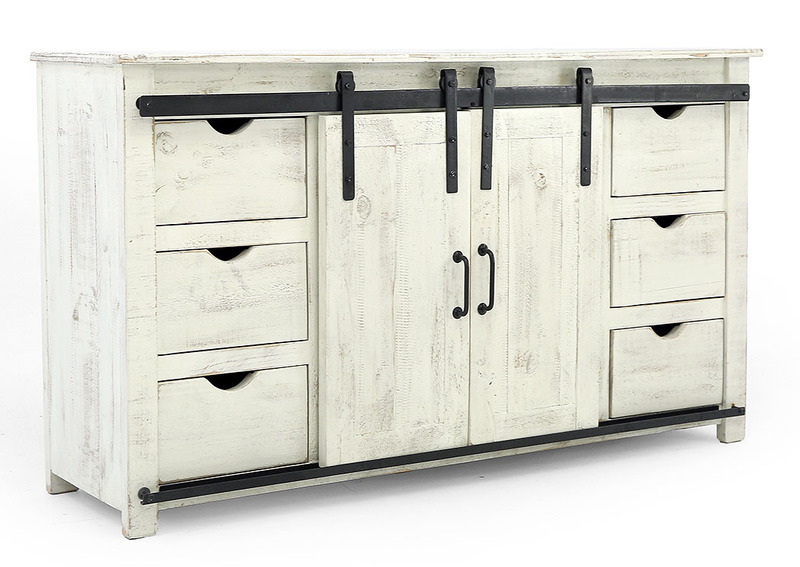 Six drawers and two shelves hidden - at least halfway - behind sliding barn-style doors offer plenty of space for games, movies, pictures, or anything else you want close at hand.